The New York State Museum has launched an online resource for educators about New York’s Dutch history, including an educational guide, photos of historic artifacts and artwork, and video interviews with content experts. The educational guide provides five lessons that introduce students to Fort Orange (present-day Albany, NY) and the world of New Netherland, the first Dutch colony in North America. The educational guide’s lesson topics include: Native American daily life before Dutch arrival, trade and global commerce, archaeology, and economical and political tensions. In these lessons, students use digital images of archaeological collections, archival material and artwork to learn about Fort Orange and New Netherland in the 17th century and develop skills for analyzing and interpreting primary sources. In the coming year, video interviews with experts are expected to be added to the lessons, including interviews with: Dr. Charles Gehring, Director of the New Netherland Research Center; Dr. Janny Venema, Associate Director of the New Netherland Research Center; Dr. Michael Lucas, Curator of Historical Archaeology at the State Museum; Dr. Paul Huey and the late Joseph McEvoy, retired archaeologists from the New York State Office of Parks, Recreation and Historic Preservation; and artist Len Tantillo. Additional support for the educational guide was provided by the New York State Archives Partnership Trust. This project was funded through a grant from the Dutch Culture USA program administered by the Consulate General of the Netherlands in New York. 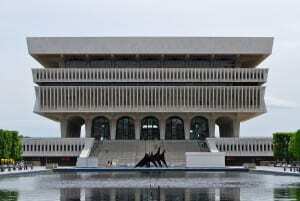 The State Museum is a program of the New York State Education Department’s Office of Cultural Education. Located at 222 Madison Avenue in Albany. Further information about programs and events can be obtained by calling (518) 474-5877 or visiting the Museum website. This is great news! Thank you for posting.